TFD » Blog » Posts tagged "artificial orchid bouquet"
Orchids are an endlessly fascinating flower that have captured the hearts and minds of the world for thousands of years. There are over 28,000 varieties of this flower which are found all over the world and they come in every shape and colour imaginable. For the ancient Greeks the exotic orchid represented fertility, but they also came to represent luxury for the Victorians who voraciously collected them. 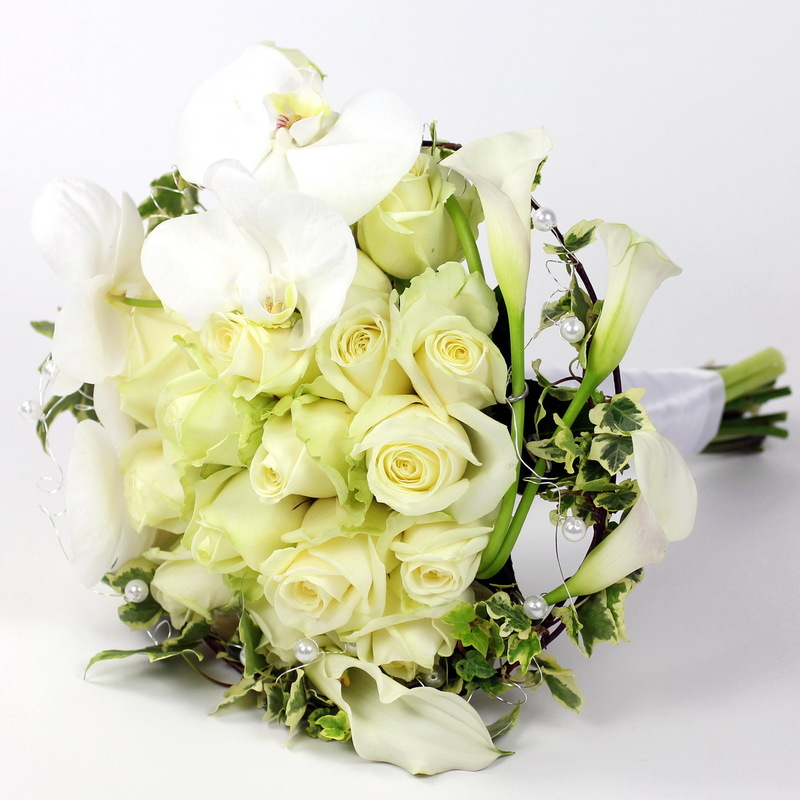 Today these graceful flowers are the perfect bloom to feature in wedding bouquets and decorations. 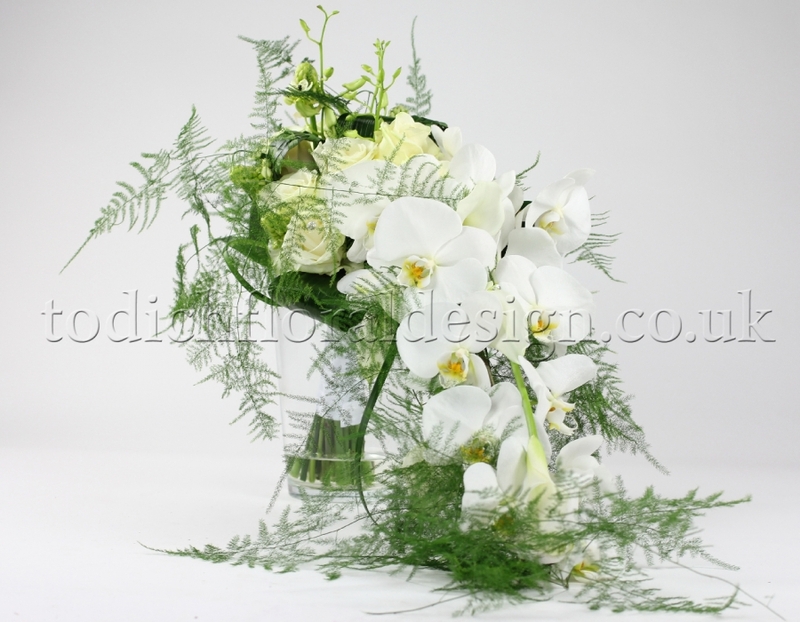 Orchids are very versatile and can suit any wedding theme – whether the theme is classic or modern. Here we explore some ideas for how to create a magical wedding with this fascinating flower. 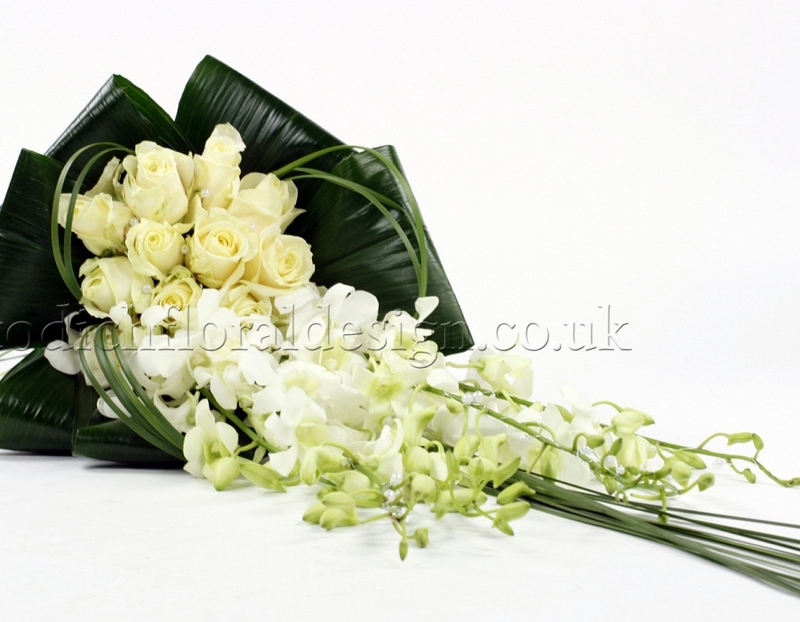 The curious curling shapes of the orchid lends themselves to cascade, teardrop and pageant wedding bouquet shapes. Blush pink phalaenopsis dance beautifully around pink roses in a cascade bouquet for a bride looking for a feminine and romantic style. 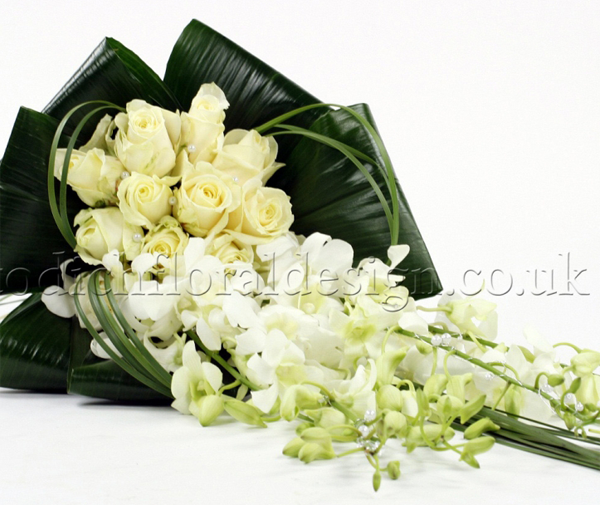 Create a classic bouquet exuding glamour from white orchids cascading with green foliage. Fluttering flowers in shades of pastel shades of peach and yellow can brighten a waterfall bouquet, while glittering gems make a design of pure opulence. Although often used for formal arrangements, the stunning colours of these flowers lends themselves to more relaxed and celebratory spray bouquets. Juxtapose contrasting shades of orchids like lemon yellow paired with pink, or chaste white and raunchy crimson. This is the perfect choice for modern weddings going for a more modern or alternative feel. The sturdy shape and striking appearance of orchids makes them perfect for the bridesmaid’s wrist corsages and buttonholes for groomsmen. Take one or two of the flowers featured in the bride’s bouquet to create a harmonious look for the wedding party. Pure white orchids work well for a traditional look, while a bolder flavour to wedding lends itself to bright coloured blooms in pink, purple or yellow. For an added element of luxury jewellery, pearls and feathers can be used to embellish corsages. With their thousands of varieties and colours, orchids are a versatile choice for wedding flowers. Whatever the theme of the wedding and taste of the couple, there are orchid arrangements to fit the bill. Ever surprising, these blooms don’t always have to be showstoppers: they also lend themselves to more subtle displays created from white and soft greens. Emerald striped lady’s slipper orchids make peaceful partners for white flowers such as sweetpeas and roses, while green dendrobium orchids can be added to green bouquets of ferns and succulents. Sprays of orchids arranged in tall glasses will set a tone of timeless elegance for any wedding. White flowers can be enhanced with branches and full hydrangeas, while deep purple and bright pink orchids are talking points all by themselves. The flowers can even be dropped into glasses to float like exquisite spirits, and the addition of candles will complete the starry look.